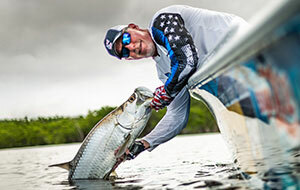 Jared hooks up with legendary Captain, James Peters with Osprey Charters and is gauranteed to be successful in one of the best inshore fisheries in the world. From the wilderness of North Eastern Ontario at Lost Lake Wilderness Lodge Karl is fishing for smallmouth bass on a lake all to himself! 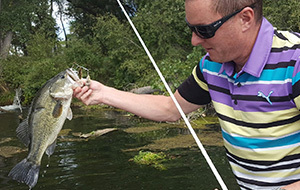 The bass are big and plentiful and the action is non stop! Seeley’s Bay will finalize the 2018 Team of the Year Race and Classic Qualifiers. 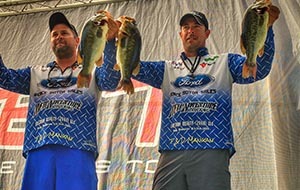 With 3 lakes to fish and a predominantly Largemouth based fishery, upsets can happen as the Tour switches gears to end the regular season. 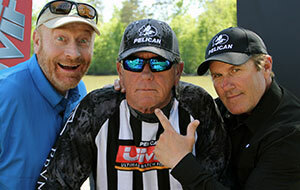 The Legends of the sport team up for a good old fashion challenge on a mystery lake in Minnesota. Scott Martin/Roland Martin vs. Jimmy Houston/Ron Lindner. 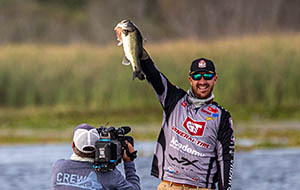 Returning Ultimate Match Fishing Champion Stetson Blaylock begins his quest for back-to-back titles against Elite Series pro David Mullins on legendary Lake Okeechobee. Every couple of years we do a show with the Zona boys. This time we left the destination up to them and they take us to the heart of family, Bass Pro Shops Big Cedar Lodge, on incredible Table Rock Lake. 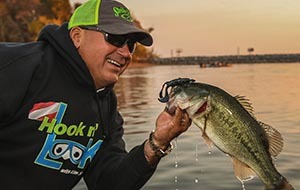 Randy Howell knows even relatively deep water can harbor bass ready to strike a topwater bait. 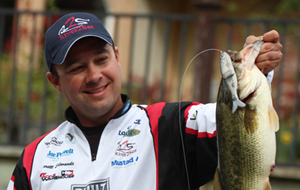 KVD teaches how to catch northern fall bass by following the native bait. Sometimes the right reel is a slow reel. Learn when and why. Rob and Peter explore the Everglades after Hurricane Irma. 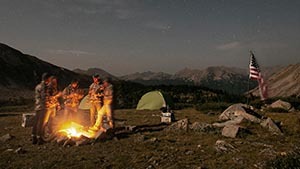 New discoveries are made and they get a chance at a Backcountry slam. 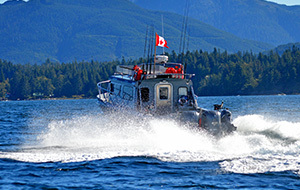 Trolling for Chinook Salmon West of Hartley Bay, BC and running a sunny Southbound tack on British Columbia’s Inside Passage to Bella Bella. KEY LARGO, FLORIDA KEYS: NIGHT OF THE MONSTER CUBERAS! 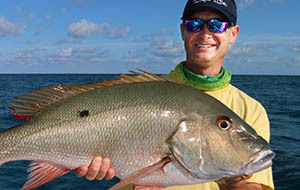 One of the most intriguing and challenging of all saltwater fisheries is the annual Cubera snapper spawn off North Key Largo, in the Florida Keys. During July, August and into September, large schools of big Cuberas gather around pieces of a local wreck and assorted bottom debris. 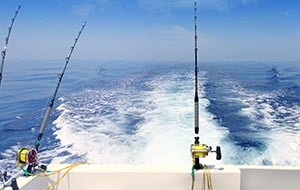 This is a heavy tackle/nearly locked-down-drag style of fishing, where live lobsters (in season) are lowered to Cuberas marked on the sonar. 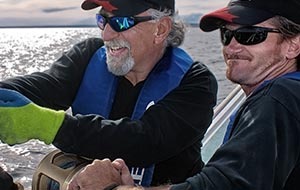 In this episode, Poveromo and Kevin Jeffries score fish as heavy as 60 pounds and break in Poveromo’s brand-new MARC VI - a Mako 334 Sportfish Edition center console powered by triple Mercury Verado 350hp outboards! If you want to learn the tricks involved in catching these monster snappers, don’t miss this exciting episode! The Poveromo team based out of Ocean Pointe Suites in Key Largo. 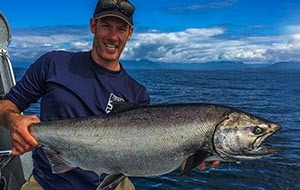 Darren “Dazza” Cleave continues to investigate the sustainability of the South Pacific’s recreational fishing resources as he heads to remote Great Barrier Island, in search of world-record size yellowtail kingfish. 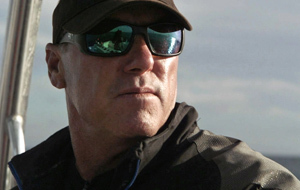 But the big swells soon cause mayhem as his local fishing guide is swept off the rocks, and his angling plans are thwarted by hungry schools of hammer-head and mako sharks. 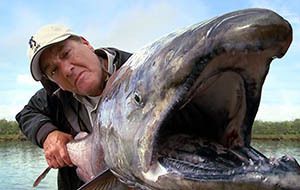 Then he gets the fright, and fight, of his life as, while trawling in a 14-foot dingy, he hooks a massive, man-eating mako. 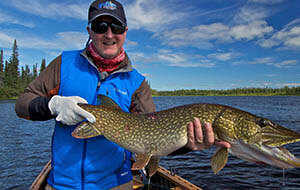 From the remote lakes of Algoma Country with Air-Dale fly-in fishing lodge, Karl has the time of his life on prestine lakes with very little or no pressure and enjoys a fly-in adventure for walleyes. 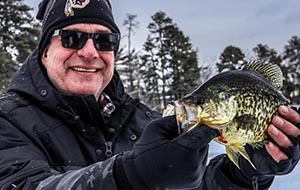 Host Ott DeFoe fights icy conditions and frozen rods as he hunts down double-digit Largemouth Bass in early January on Lake Chickamuga, Tennessee. 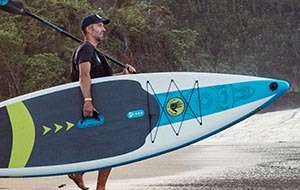 Luke Hopkins and Anne Pagano explore one of the world’s great water trails by stand up paddle board - Florida’s Great Calusa Blueway Paddling Trail. Eric Hanson explores the world-renowned Abel Tasman National Park by foot, and by sea kayak. Capt. 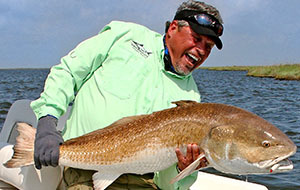 Mike Anderson hits the road for another awesome trip up to the Louisiana bayou. 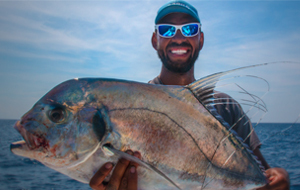 The United Arab Emirates seems an unlikely fishing destination but its waters hold secrets that would have many anglers chomping at the bit. 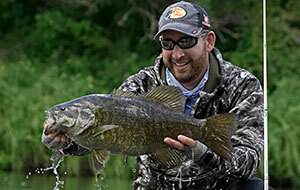 In this episode we join the Soolyman Sports Fishing team as we seek to discover the mysteries that these waters hold. 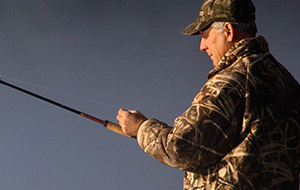 Gerard and Charlie visit Benton PA & Boston Massuchetts to fish for Brown and Rainbow Trout. 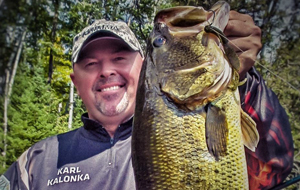 Special Guest Barry Beck Renow Photographer located in a private river in PA. Cameron Choffi an Olympic Fishing Team Member is located in Boston Mass with the Harris Brothers Professional Guide Service. 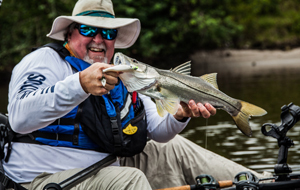 "Ranger 2260 Bay, Grady 251 CE, Glasstream 360 SCX"
Today, on Florida Sportsman Best Boat...If you are looking for a solid, well-designed fishing platform, that offers stylish and functional features, we will be taking a look at the Ranger 2260 Bay; In search of a versatile boat that handles both inshore and offshore conditions with ease? 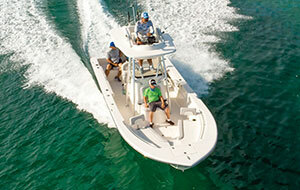 If so, we will be taking a look at the Grady White 251 Coastal Explorer; Looking for a FAST boat that delivers style, function and fishability? If so, we'll be taking a look at Glasstream 360 SCX. Fred Lavitman battles flooding waters and may have set a new record for giant gar in high water conditions. 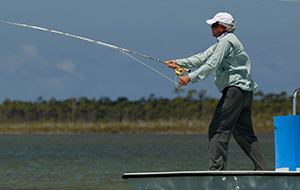 Captain Eric Ciocher searches the canals of Lake Ida looking for Peacock Bass with Captain Brett Isackson. Jimmy Kimmel and Huey Lewis get a cooking lesson from a local chef, and the anglers enjoy the beauty and solitude of wading the salt water flats in South Andros Island in the Bahamas. 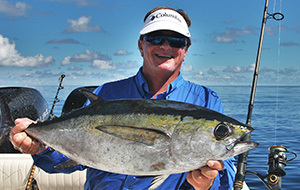 Capt Jimmy Nelson is in Grand Cayman sight fishing bonefish and it’s not long before he hooks into a barracuda. 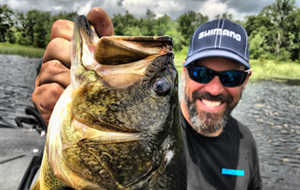 Tournament veteran and fishing guide, Art Ferguson accompanies Kim in the Orlando area, in search of giant pre-spawn Florida largemouth. However, the two experience a baffling conundrum, which Kim documents from beneath the water's surface. 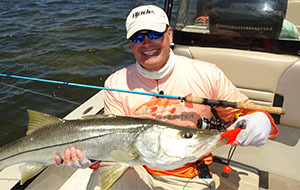 Getting another opportunity to fish with Captain Richard White down in the Darien Jungle, JP travels to Panama to visit the famed Tropic Star Lodge but this time he has a couple of friends with him and a whole lot of new gear. 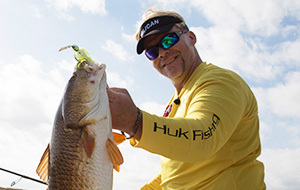 Joined by West Coast and Florida fishing specialists, JP looks to further break down the potential of these famed waters. Charlie travels north to “The Way Life Should Be” state -- Maine. Mad Fish takes out his daughter Katlin his son Nikolas and his wife Angela. The family enjoys all the pleasures of lake life while Charlie tries to catch the big larries. The Mad Cook heads back to the cabin and whips up some of his favorite recipes. 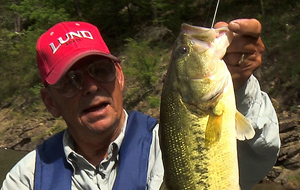 Charlie tops the trip off by catching a big bass. 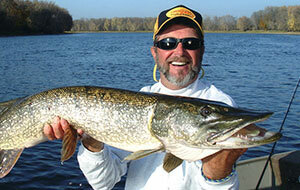 Things are getting wild at The Green Hornet as the MudbuMs have one of their best days of fishing to date. Is it Crash’s lucky hat or Willy’s lucky pole on turtle bend? To top it off, the boys have their annual slingshot shootout. 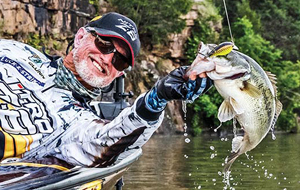 Join Jarrett and St. Croix Rod's Dan Johnson as they fish beautiful Lake Powell for spring time bass and striper on jerk baits. 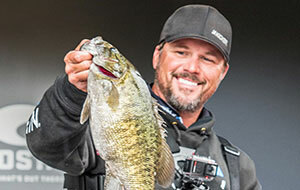 Al Lindner and Jeremy Smith set their sights on big bass and more in the Upper Midwest’s overlooked agricultural ponds. Magic and mayhem it is, indeed, as the In-Fisherman staff puts the petal to the metal in the field, traveling to one of the world’s best destinations for lunker lake trout, digging deep into the archives for classic catfishing with Stange and the Toadmonster, and cranking up summer-peak period largemouths. 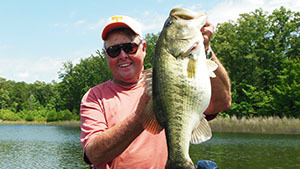 Bill Dance continues with Part 2 sharing his strategies, steps and go-to lure when nothing else is working to land a bass. 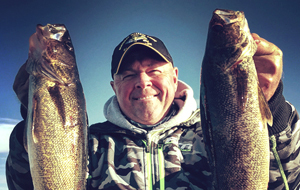 Hosts Jeremy Smith & Mike Hehner take us on a fly-in adventure for catching loads of Walleye and Eelpout. 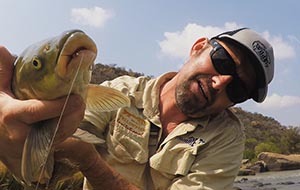 When you think of Texas, carp fishing certainly isn’t the first thing that springs to mind, but many waterways and lakes that criss-cross this state are stuffed full of fish, including huge buffalo fish and the same type of carp that is found in the UK. With the buffalo growing to well in excess of 60lb on the lake which Ali Hamidi, Tom Dove and Neil Spooner have chosen to spend their time, the excitement is palpable every time a buzzer sounds. 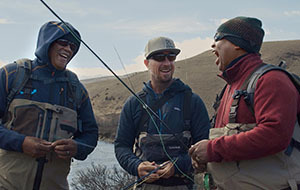 The trio soon discover that sometimes the local methods do work best, and this leads to them fishing with a method that certainly wouldn’t be their first line of attack on waters back home. 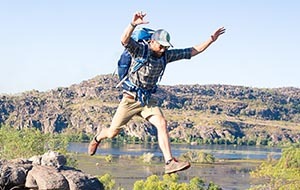 The action is fast and furious, but there is no time to relax even away from the lake, as the lads embark on a number of adrenaline packed activities that the local area is known for.